Signs You Need a New Shingle Roof - Jackson Contracting Inc.
An asphalt shingle roof represents an incredible value in roofing for your home. Like any roofing system, however, shingles will eventually need replacement. If you ignore signs that you need a new shingle roof, you make your home vulnerable to total roofing failure. Pay attention to these signs, and call for service from a trusted roofer once they appear. If your roof has begun to lose more a couple shingles after a big storm, the time has come to consider replacement. Intermittent shingle replacement is no big deal, but when it happens regularly, you have to question the continued performance of your roofing. 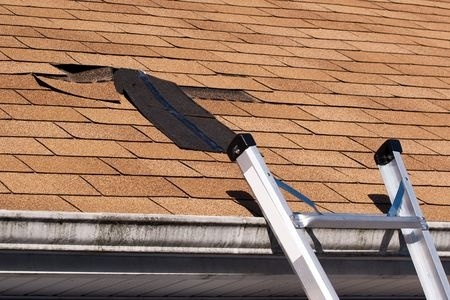 Missing and damaged shingles also open your home to leaks. If your roof has begun to lose an abundance of roofing granules, you should also consider replacement. These granules are indispensable to protect your roofing from impacts and damage from the sun. In their absence, shingles will begin to curl and crack, leaving your home susceptible to damage. You can easily check in your gutters to determine whether your shingles have begun to shed their granules. Each of the above symptoms can indicate an aged roof, which represents perhaps the most common reason for replacement. Roofs that have gotten too old may look fine, when in reality they stand to fail with the next big storm. If you are unsure of your roof’s age, pay attention to your neighbors. Since homes in a neighborhood tend to have similar construction dates, the appearance of several new roofs can indicate the need for your own. At Jackson Contracting, Inc., we stand as your local source for a new shingle roof in Indianapolis, IN. Call our experts today at 317-214-8124 to learn more or schedule service.